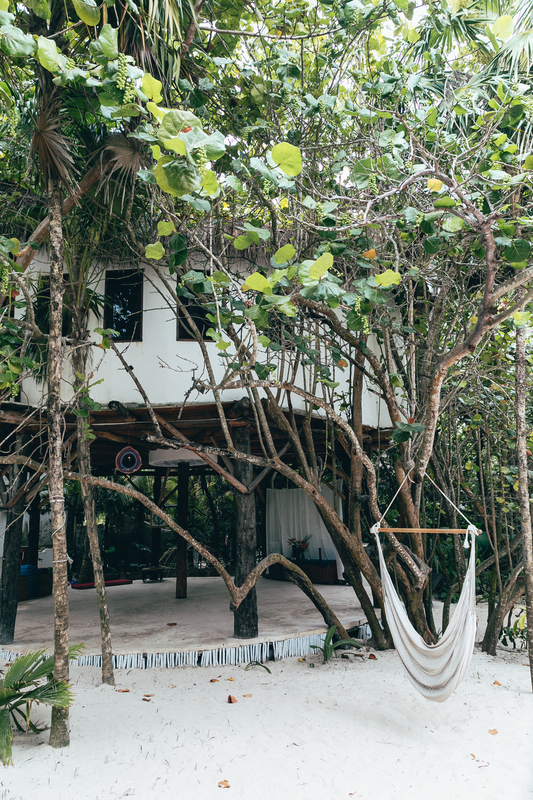 Destination Wedding Venue: Casa Violeta – Tulum, Mexico. It used to be that Tulum was simply knows as a Mayan archaeological site with only a few relaxed accommodation options that lined its 7-mile stretch of luscious beach. 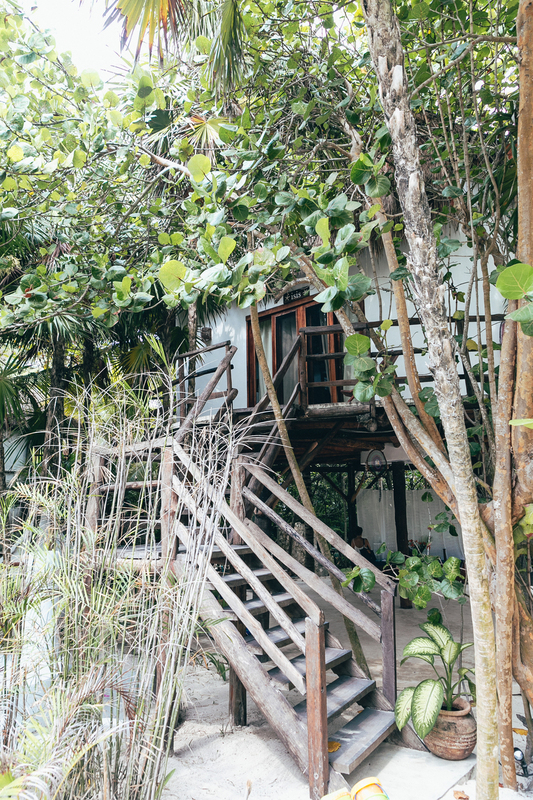 Sure, Tulum is still small, bohemian, and mystical, but finding lodging options that feel off the grid are rather difficult which makes Casa Violeta that much more of a treat. Tulum has a fascinating and palpable combination of luxury and escape that appeal to a range of creative creatures and well-pocketed new agers, who bring out every shade of yoga mat at dawn. Being located only 80 miles outside of Cancun and tucked away in a romantic haven of its own makes Tulum logistically perfect for group travel and destination weddings. South on the hotel-studded strip and possibly on one of the best stretches of the beach, is the wonderfully relaxed Casa Violeta. Ocean breeze, open air showers, sound of waves and the soothing serenity of an uninterrupted day on its beach is what makes Casa Violeta so luxurious. The luxury is in experiencing Tulum in its true form and all its laid back glory. 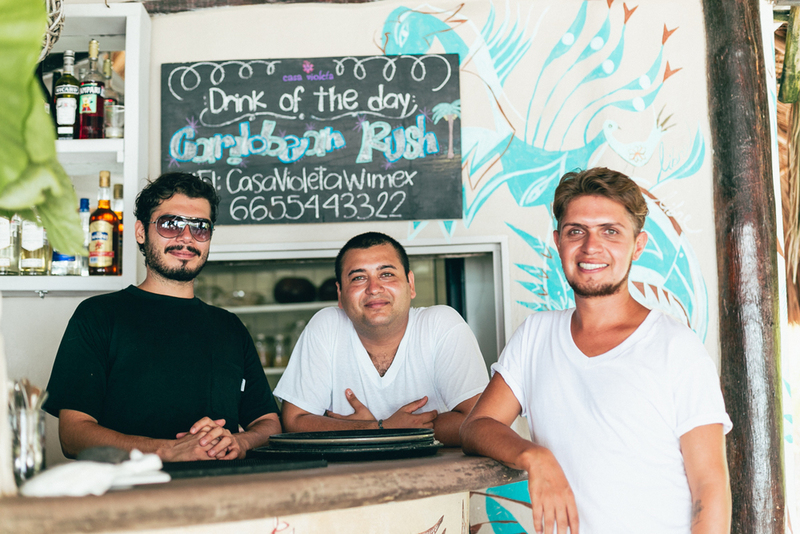 Unlike some of the other hotels on the strip, Casa Violeta is approachable, quaint and tranquil. It is close enough and within walking distance to all restaurants, but an easy escape with charming beachfront bungalows that pair with their own reserved day beds and a gorgeous yoga studio. 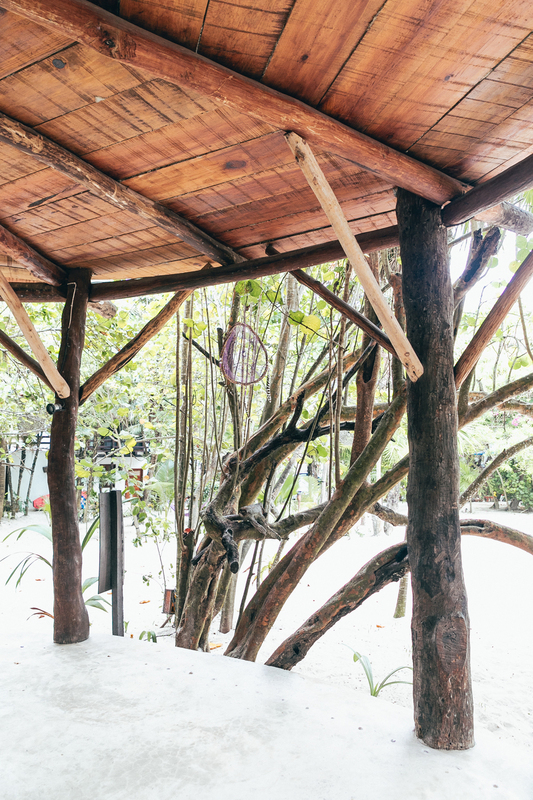 Accessibility and safety make this tiny cosmic corner of Mexico the well-travelled couple’s non-inclusive alternative for destination weddings. Privacy, flexibility and a gorgeous indoor option in case of rain, make Casa Violeta the perfect destination wedding venue within Tulum for an intimate, unpretentious ceremony. A venue where a flip flop basket is not required as barefoot is the appropriate code for the party. Choose Casa Violeta for an escape within Tulum for it is truly the perfect place to recharge your batteries and experience this beautiful destination. 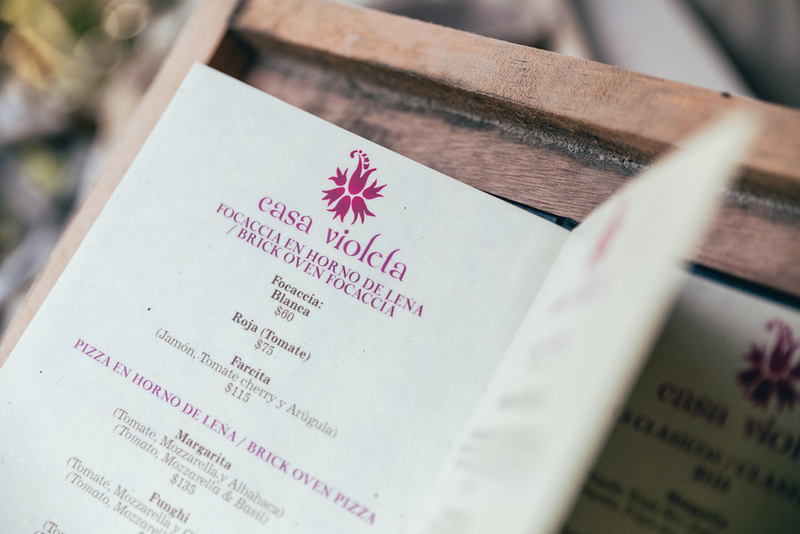 For more details on Casa Violeta as a wedding venue – we can be reached at 1.844.443.8368. All photos were taken by our friends at The Love Studio on our trip to Tulum together. 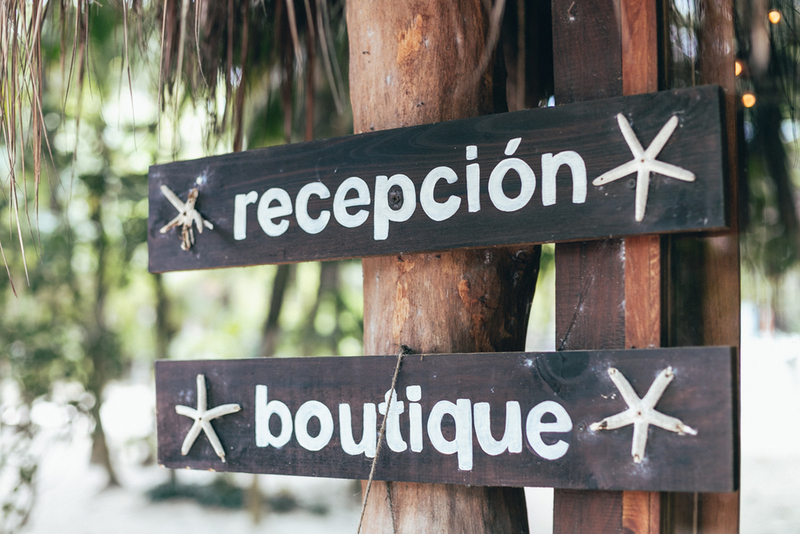 Meleny on Destination Wedding Venue: Casa Violeta – Tulum, Mexico. My name is Mahla; most clients call me M. I'm the founder and Creative Director here at TE. This is where I'll share real love stories, travel tips, featured locations and an insider's insight into the world of destination weddings. We plan, manage, design and flawlessly coordinate destination weddings in Mexico, Costa Rica, Dominican Republic, the Caribbean, and Europe. Our clients are incredible dreamers, in love. They choose a once in a lifetime adventure to celebrate with their nearest, we help tell their story.